Oldham County, TX – Authorities have captured Abdon Ponce, the man they say is the suspect in two homicides that happened in Lipscomb and Hansford counties. The Oldham County Sheriff’s Office arrested Ponce in Oldham County on charges unrelated to the two murders Saturday after a multi-county manhunt. Officials are not stating what those charges are at this time. Texas Rangers are currently questioning Ponce. A man wanted R in connection with two overnight homicides is now being sought by the Texas Rangers. 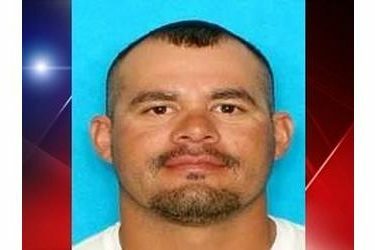 Abdon Ponce Jr., 38, of Perryton, Texas, is wanted in connection to two homicides that happened in Lipscomb and Hansford Counties, according to the Texas Department of Public Safety (DPS.) Ponce was last seen in Hansford County heading west from the community of Pringle, DPS said. Pringle is between Gruver and Stinnett. DPS said he was last seen driving a stolen maroon and tan 2005 Ford F-250 with Texas tags AG64578. Ponce is considered armed and dangerous and should not be approached, DPS said. Any information can be reported to DPS at (806) 468-1394(806) 468-1394. Specific details about the homicides were not immediately released. Friday morning, Pringle Morse and Stinnett Schools were placed on a precautionary lockdown as a result of this.